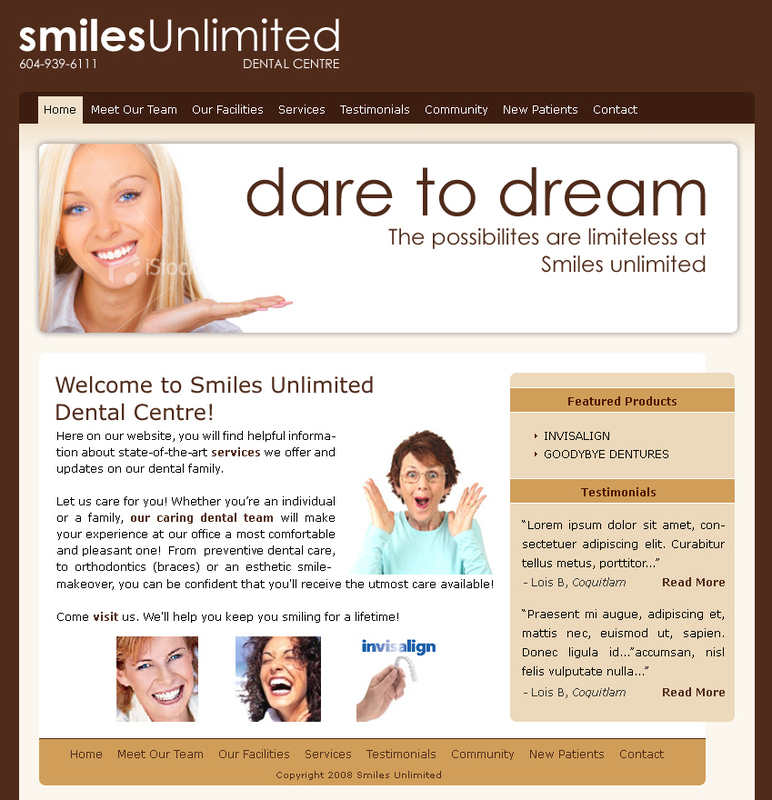 Smiles Unlimited is a dental office in Coquitlam, BC. 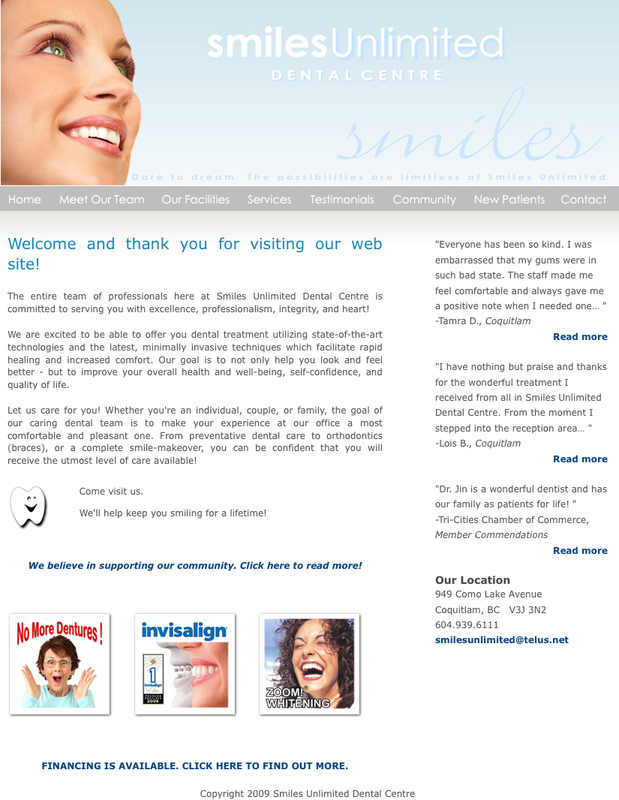 They required a clean, simple and easy to use & update website. We went through several different designs, and settled on the simplest. 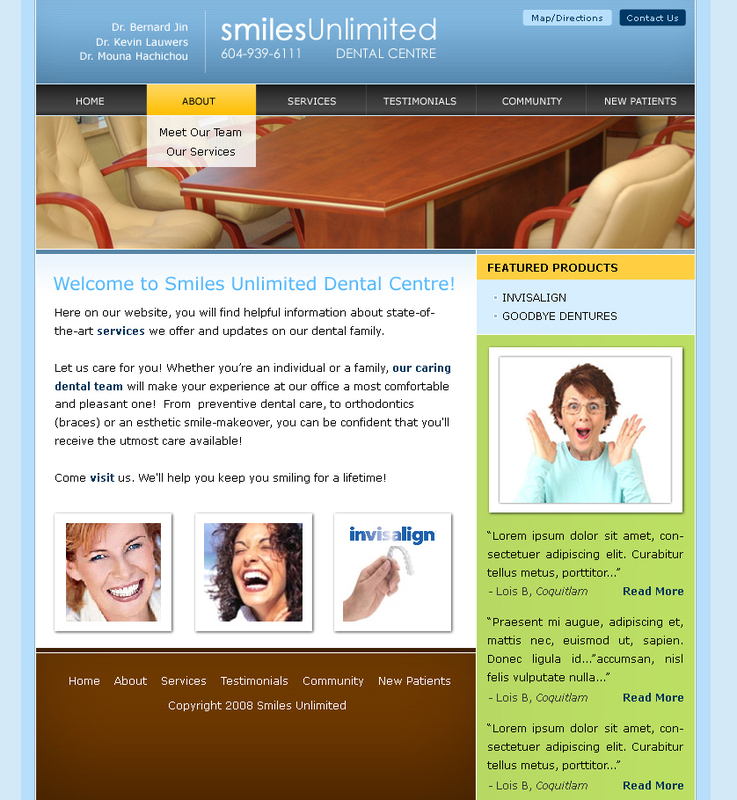 A Drupal 6 site was then developed, and the design themed for it.